How Do I Create Receipt Templates? With the Virtuous Receipt Builder, users can generate professional receipt templates for sending paper receipts or email receipts. A drag-and-drop, visual editor makes it easy to create one or more templates that can be used for every day receipting or annual giving statements. Note: Only users with Admin permission can access the Receipt Builder tool. To get started, go to the Settings menu in Virtuous and select the "Odds & Ends" tab. There, you'll see the option to generate Receipt Templates. On the next screen, all existing receipt templates for your organization will be listed. To get started on a new template, click "Create Receipt Template." 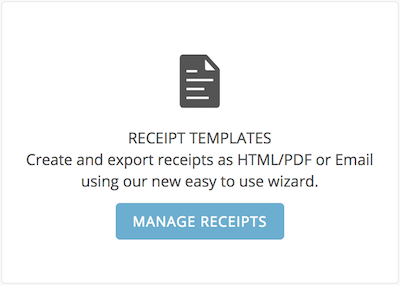 This will launch the Receipt Builder wizard. On the first screen, there will be several options to select. The first field defaults to "Send Receipts via Email." Click to toggle and select the option to Send Receipts via Mail. This will replace the options below to customize the email subject line and sender information, and instead display options for generating address labels or printing envelopes along with PDF receipts. In the center, be sure to give the new template a unique name. This name will be the only identifier for your new template, so be specific! On the right, the "Include Single Gift per Receipt" option is selected by default. Click to change this if the receipt template being built should include Multiple Gifts per receipt. This will be the option to choose if you are generating monthly summaries, quarterly statements, or year-end receipts. Read on to learn more about each option. Email receipts will be built using the same templating tool used for Virtuous Marketing Emails. 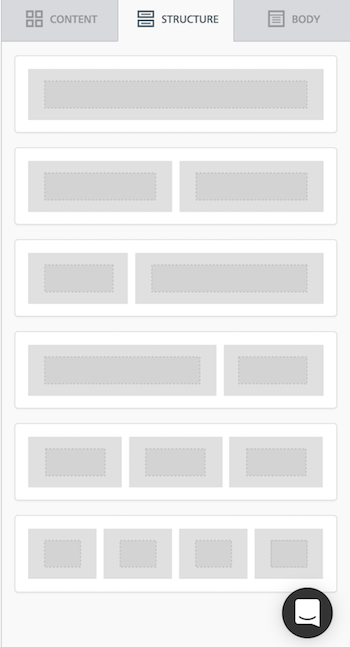 To get started, click and drag elements from the right side panels into the template. To change the layout of objects on the screen, clack an drag elements from the structure tab. 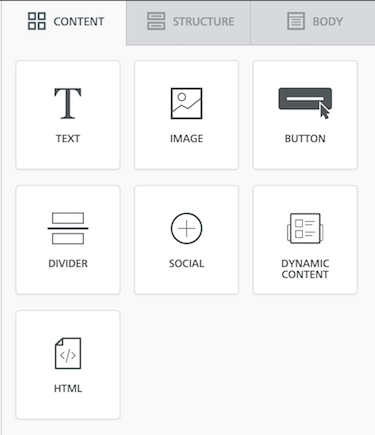 Click and drag elements from the Content tab to add text locks, images, and other objects to your template. When adding a text block, click anywhere in the block to bring up the editing toolbar. Use the toolbar to format your text, including fonts and alignment, and click on Merge Tags to add in merge fields for Contact data or Gift data. Email receipts for multiple gifts will also use the same editor and tools, so they share much in common with email receipts for single Gifts. The key difference is in how Gift data is treated. Since these receipts may include data for any number of Gifts, this data will be displayed in a table, as opposed to incorporating it into text via merge tags. 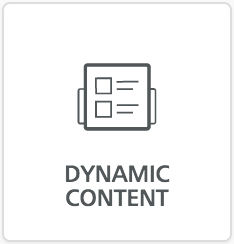 To create a Gift table, click on the Dynamic Content option on the Content menu and drag it to appropriate location in your template. Depending on the table selected, it may be necessary to click on the Body tab on the far right and increase the Content area width in order to clearly display all of the table data. More advanced users comfortable with editing HTML can use the HTML content object to create more customized Gift tables, if desired. When creating a paper receipt, the editor tool will look and feel vert much like a typical word processing application. Click on the toolbar at the top of the screen to add text, format content, and even add images. Click on Merge Fields in the toolbar to add merge fields for Contact data or Gift data and incorporate it into the body of your receipt. As with email receipts, the key differentiator when including multiple Gifts is the need to format data in a Gift table. Here, just click on Merge Fields and then select "Gift Table" from the list. The table can be further customized, if desired, including changing the headers, rearranging columns, and even removing entire columns. Use the Table option in the toolbar to customize the Gift table as needed. When creating a new template, click on the Actions button in the upper right to save. There are two options, one to save and continue working, and another to save and return to the main templates screen. Both paper receipts and email receipts include an option to see a preview, which will use sample data to display your new template as it would appear. Email receipts also provide he option to send a test receipt to yourself or another team member for review. Once your templates have been created, they can be used to send receipts from the result of any saved Gift query. Simple execute your query, click on Actions fro the results screen, and then select "Receipt Gifts" from the drop-down.